As the size and complexity of the M&A deals grew exponentially, we've witnessed M&A practice transform itself into something like a full-scale industry. Sophisticated storytelling, however, has not kept pace with that growth. When I announced in September that after 35 years of practice as an M&A lawyer I would be leaving the law to join RLM Finsbury, a number of friends, colleagues, and clients asked why I decided to make this late-career move. My personal motivations have to do with seeking new challenges, a desire to apply my experience to a different professional arena, and recognizing an opportunity to apply to the communications field the corporate governance lessons I'd learned over a professional lifetime. The more general answer, however, is that there exists in the mergers and acquisitions space a profound need for broader and more nuanced communications to an ever-growing list of relevant constituencies. As former co-chairman of Latham & Watkins LLP's corporate governance task force and global mergers and acquisitions practice, and previously as a senior M&A lawyer and M&A investment banker at other firms, I count myself fortunate to have worked on a number of landmark domestic and global M&A transactions from Mobil's hostile acquisition of Marcor in the late 1970's to Roche's acquisition of the public's minority stake in Genentech and InBev's acquisition of Anheuser-Busch just a few years ago. Having worked in the M&A space for some 40 years, I have also been privy to the evolution of this burgeoning field of corporate strategic growth and restructuring. In the late 1960s 1970s the M&A process was considered a rarified specialty; its practitioners at investment banks and law firms relatively few and unique. As the size and complexity of the M&A deals grew exponentially, we've witnessed M&A practice transform itself into something like a full-scale industry. Sophisticated storytelling, however, has not kept pace with that growth. The communications aspect of friendly M&A deals traditionally has had a narrowly defined framework, focusing primarily on getting the deal done. M&A communications has followed a routine formula centered largely on a press release announcing the transaction, preparation of the two CEOs for an investor presentation, and drafting an investor presentation deck for use with institutional shareholders in the kick-off investors' meeting and in follow-up road show presentations. The focus of these communications is investors and traditional investor intermediaries, sell side and buy side equity analysts, and the financial press. Their point is to "sell" the merits of the deal in terms of strategy and pricing in an effort to obtain a favorable target shareholder vote and to produce a favorable market reaction in terms of the buyer's stock price. Today, however, it is no longer enough to consider only company shareholders and equity investment intermediaries. While the financial terms and strategic aspects of any deal are vital to telling its story to equity investors, communicating these aspects, as well as a host of related issues, to other constituencies of the buyer and seller companies is equally, and sometimes even more, important. And telling that story to the other constituencies of the two companies - employees, customers, suppliers, regulators - is the part of M&A story telling that many lawyers and PR outfits assume is the job of others. Today's M&A communications requirements go well beyond simply getting the deal done. They include careful consideration of audiences (often in different countries which have other legal, regulatory, and cultural sensibilities), identifying potential communication and perceptional risks associated with the deal, speaking to various constituencies in a tailored but consistent way, and managing long-term corporate reputational issues. A good but crude example of the importance of nuanced communications in the M&A space: a high-profile merger occurs and bankers and investors are eager to employ terms like "market dominance." That kind of rah-rah verbiage might make for a good rallying cry and even an initial bump in stock price, but from an anti-trust perspective, that kind of talk raises significant alarm bells. In addition, there often are sensitive public affairs aspects to many of these deals - instances in which a public figure gloms onto a particular issue in order to score easy political points with his or her constituencies, often while having ill-formed or erroneous beliefs about the transaction. An example I can point to from personal experience comes from the 2010 $2.5 billion merger of equals between Ticketmaster and LiveNation, and the controversy surrounding the ticket resale market for premium concert seats. In reality, major recording artists are allotted hundreds - sometimes thousands - of a venue's best seats to distribute to friends, family, record label executives, the media, and in this context most importantly, sell through ticket resellers. Yet that nuance was largely drowned out during a very public outcry that saw even Bruce Springsteen taking to the airwaves to denounce the Ticketmaster transaction. Being able to explain effectively how this system really works, and that the Boss himself was allotted some 2,262 premium seats for a May 2009 New Jersey concert, helped neutralize the disinformation campaign and more quickly defuse this situation. Finally, there is a subtle aspect of M&A communications that belongs perhaps more in the province of language than law, business, or finance. Simply, it's the war of words. There exists in the M&A space a collection of too-cute-by-half descriptive phrases and metaphors such as "poison pill," "golden parachute," and "white knight," that does no one any favors. While these terms - mostly holdovers from the 1980s - are generally accepted in the business world as innocuous terms of art, different audiences might find them freighted with ugly connotations and reeking of moral offense. These terms often make for easy, emotionally charged targets for governance activists and others, and employing them in a cavalier manner can effectively shut down any kind of thoughtful conversation. I have seen more investor presentations than I care to count that have reflexively employed terms like these: good strategic communications helps prune that kind of language in the early goings. I decided to join RLM Finsbury because I recognize how strategic communications do not just announce a deal; they define the business strategy undergirding it. While I am very excited about my new role and having this different, perhaps even broader, canvas on which to paint, I also envision strategic communications work as something of an extension and amplification of my past legal experience. Whether a lawyer, an M&A banker, a union delegate, a lobbyist, or a PR professional, the ability to communicate one's story-in a concise, consistent, and compelling manner-is foundational work. Good storytelling - that most fundamental human transaction - remains the cornerstone of any deal. 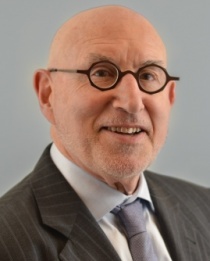 Charles Nathan is a partner and senior adviser at RLM Finsbury.